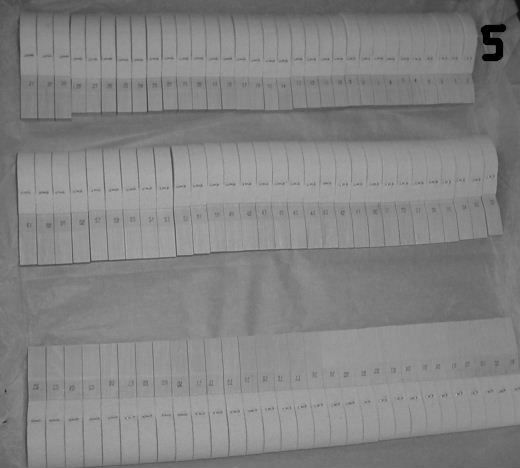 Boring per samples, and bass count is 21 hammers, 91 total. Extra bass hammers provided if necessary. 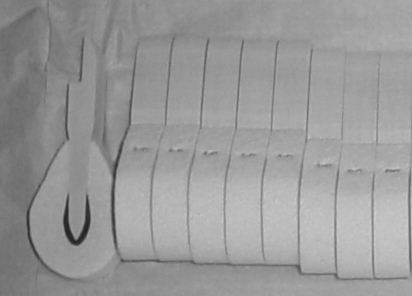 Our Upright piano hammers have the same characteristics - made of German felt and hornbeam, in 12-lb sets which are numbered, t-wire reinforced, and durometer hardness tested - for only $195. per set, or for $225. per set pre-hung on new shanks. 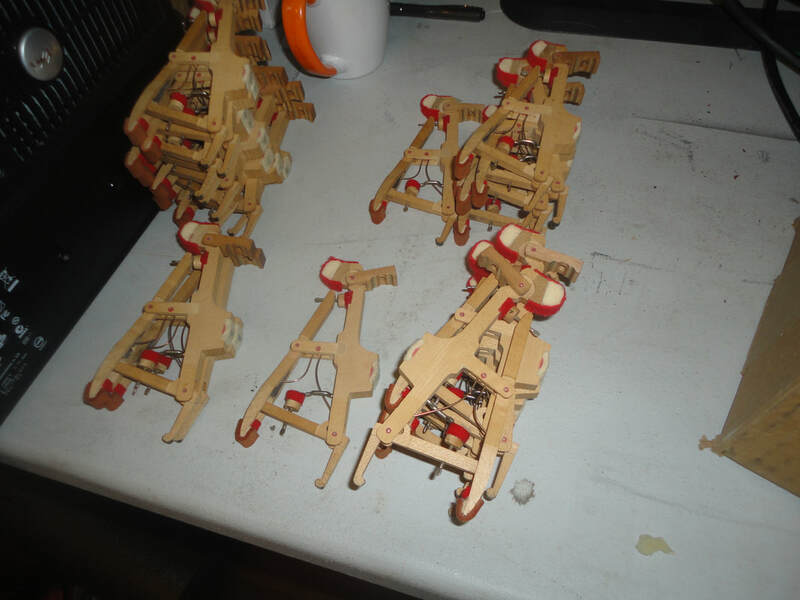 By pre-hanging them, the angles of the hammers are properly set in hide glue. Simply cut to length, and drop in your new butts for the perfect hammer line. Our newest addition to our parts inventory is the “rocker retrofit block”. This new addition allows us to simply unscrew the old un-replaceable rocker, and screw in our new retrofit block to make one of our styles of wippens fit your action. We custom fit the other parts in the action frame to allow the upgrade to our standard wippens. Ship us your action, and we will install new retrofit blocks, and the proper modern wippen make the action ready for your final regulation. Bumper style wippens will fit Steinway actions with the proper flange installation and similar bumper style actions. are similar in design… butterfly spring, quality felts, and good construction. Genuine Steinway pre-1984 style. 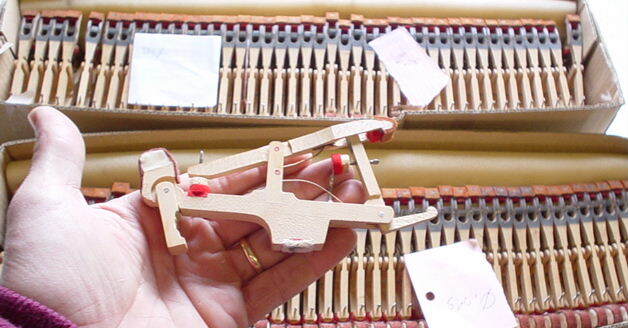 An original replacement part for all of the Steinway purists out there in piano land. One set of 88 $2400. We also offer used parts, including many Steinway parts in like-new condition. Items on this screen are subject to change, so check back often! Complete set of used Steinway wippens with teflon bushings in like new condition. These legs are hand carved of soft maple, in the traditional way. Faux grain to rosewood for a perfect match, or stain to your liking. The detail in this carving is carved better than most legs from piano factories in the 1800’s. They are finish sanded and ready for stain or graining. Available in Mahogany upon request. Victorian French Provincial Hand Carved Legs and Lyre - Hand carved out of mahogany, with delicate carving and intricate curves, these legs are ready to stain and match to most any piano!